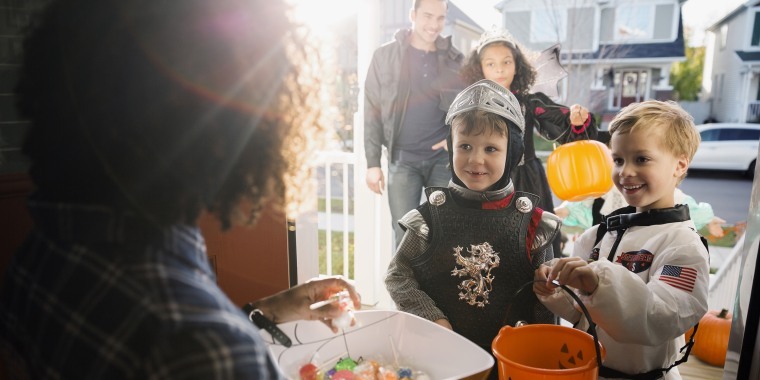 Halloween is right around the corner, and it's time to start stocking up on candy without breaking the bank. 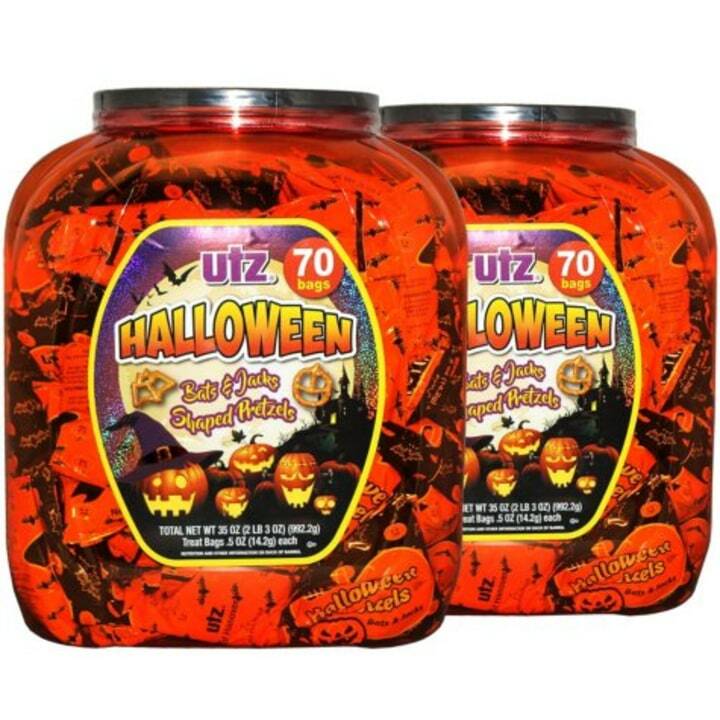 Need cheap bulk candy? Once you've decided on your Halloween costume, it’s time to start stocking up on candy so you aren’t stuck with (milk)duds on Halloween. 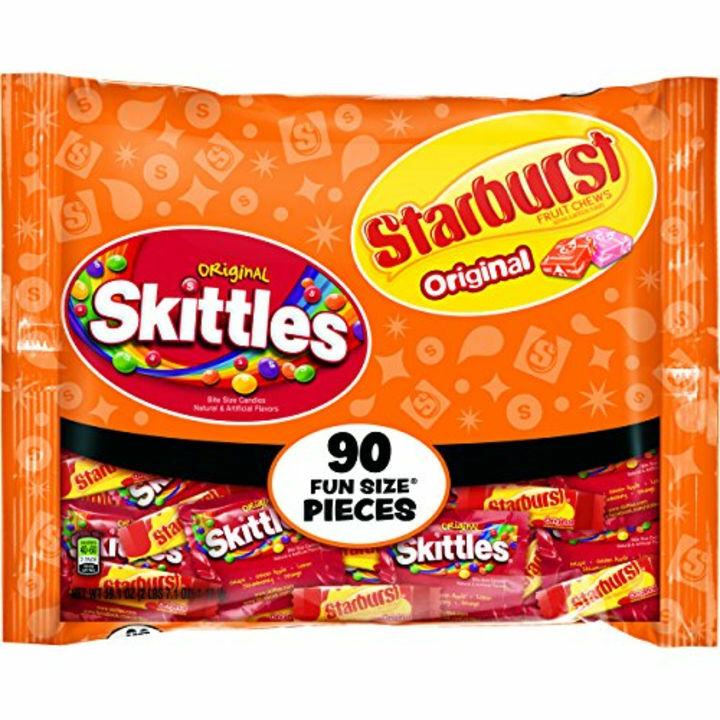 This 6-pound bag is a fun mix of Sour Patch Kids, Skittles, Twizzlers, Jolly Ranchers and more. Even the product reviews talk about how much trick-or-treaters love it! 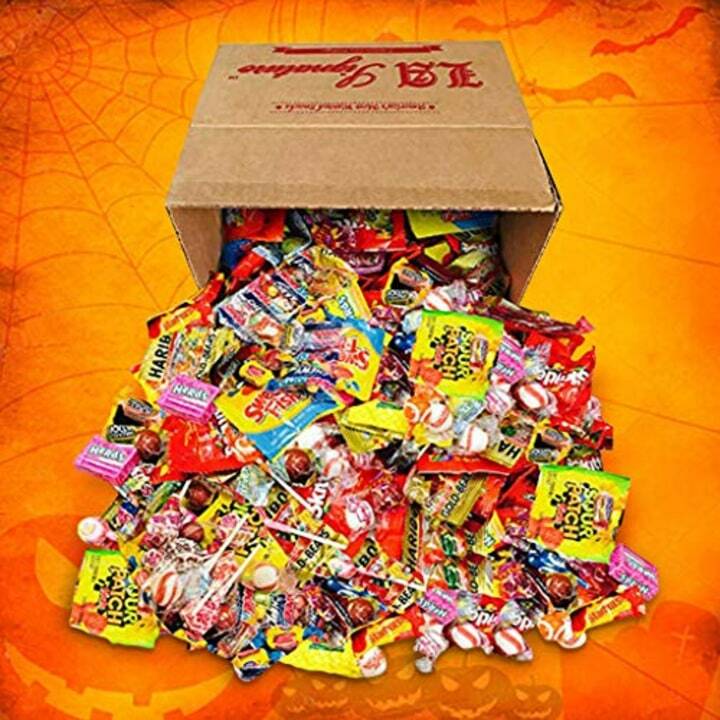 There are about 100 pieces of favorites like Butterfinger, Nestle Crunch and Baby Ruth to share with the neighborhood ghouls. 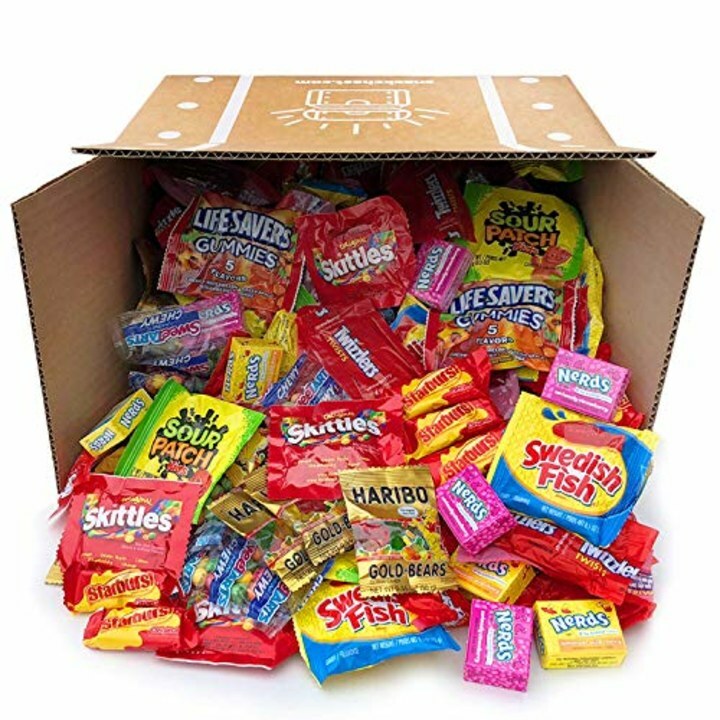 Armed with more than 200 pieces of individually wrapped Twizzlers, Nerds, Swedish Fish, Sour Patch Kids and Skittles, pretend you’re Oprah when doling out handfuls of candy. A few bags of these could feed the whole neighborhood! 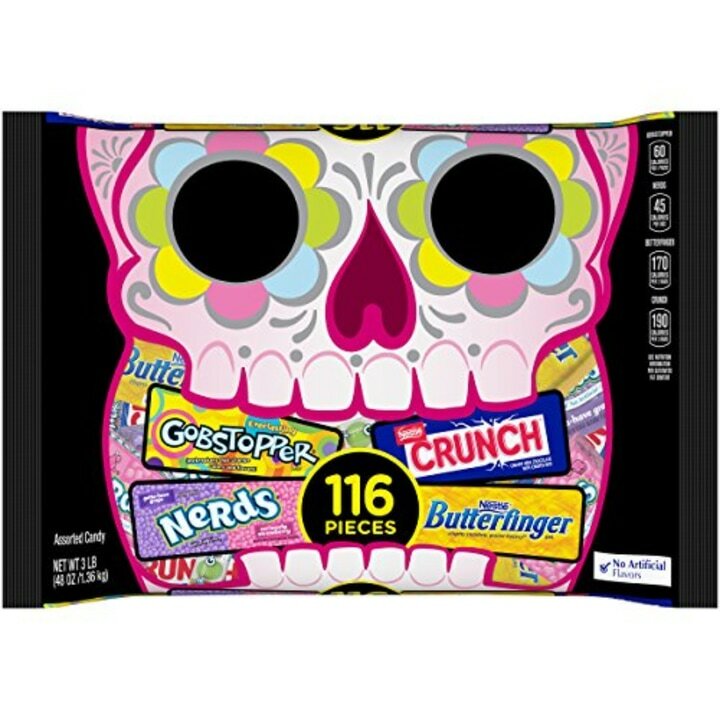 This includes Nestle favorites like Nerds, Gobstoppers, Crunch and Butterfingers. 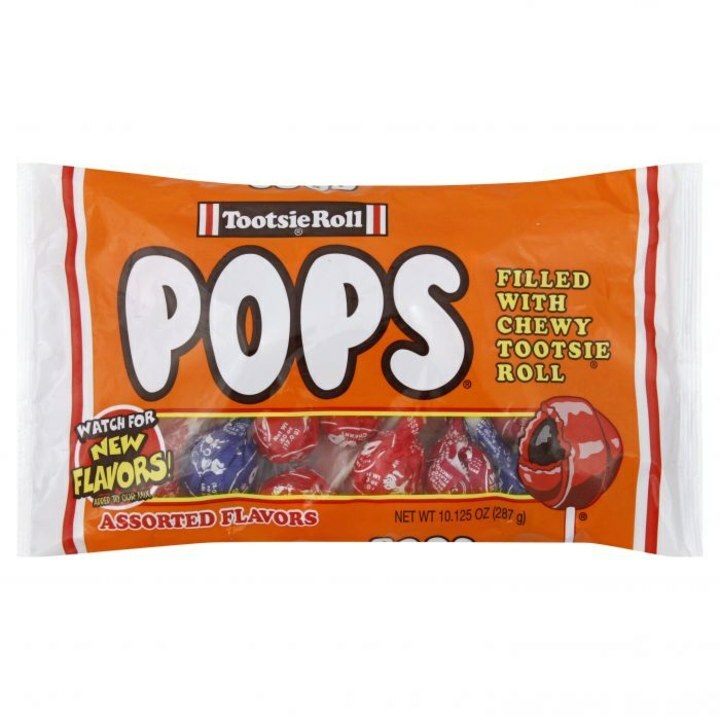 Give trick-or-treaters an old-school candy they’ll love! 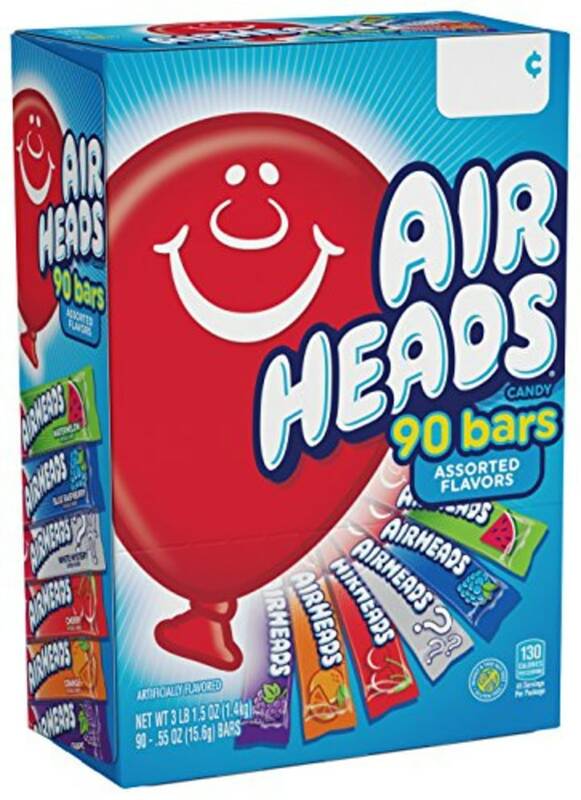 There are 38 to 40 mini-Airheads in a variety of flavors: cherry, orange, blue raspberry and watermelon. Maybe buy an extra bag just for yourself — for old time’s sake. Give kids a chance at winning the pink Starburst lottery, and give the losers a consolation prize by guaranteeing they’ll get at least one red Skittle. What’s not to love with the chocolatey goodness of M&M's? If the kids don’t like ‘em, then they need better taste! 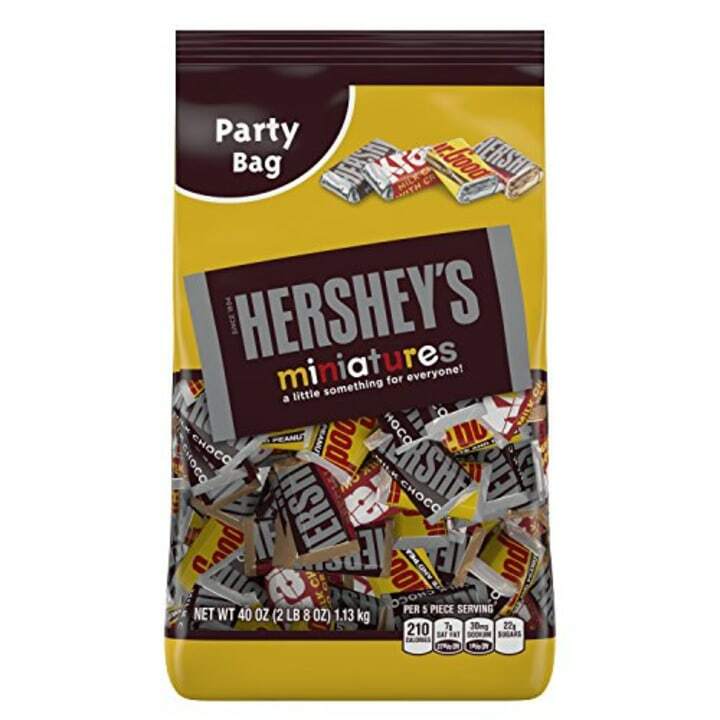 This sweet bulk buy gives you 135 pieces of Hershey’s milk chocolate, dark chocolate, Mr. Goodbar and Krackel. As divisive as candy corn is, there’s no debating the confection is synonymous with Halloween. 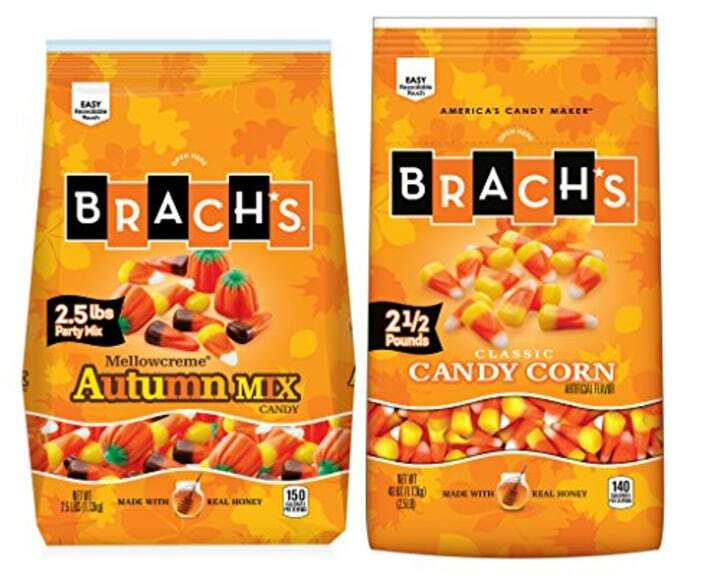 And you’ll definitely get your fill with these two bags, one of which also features candy corn pumpkins. 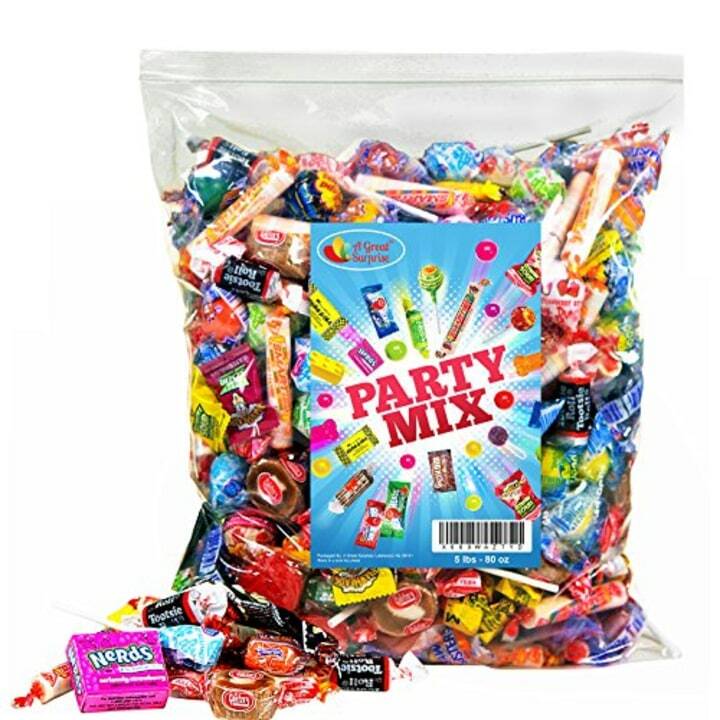 With 315 miniatures of Reese's, Kit Kat, Twizzlers, Jolly Rancher Stix, Jolly Rancher Lollipops and Whoppers, there's something for everyone in this bag. 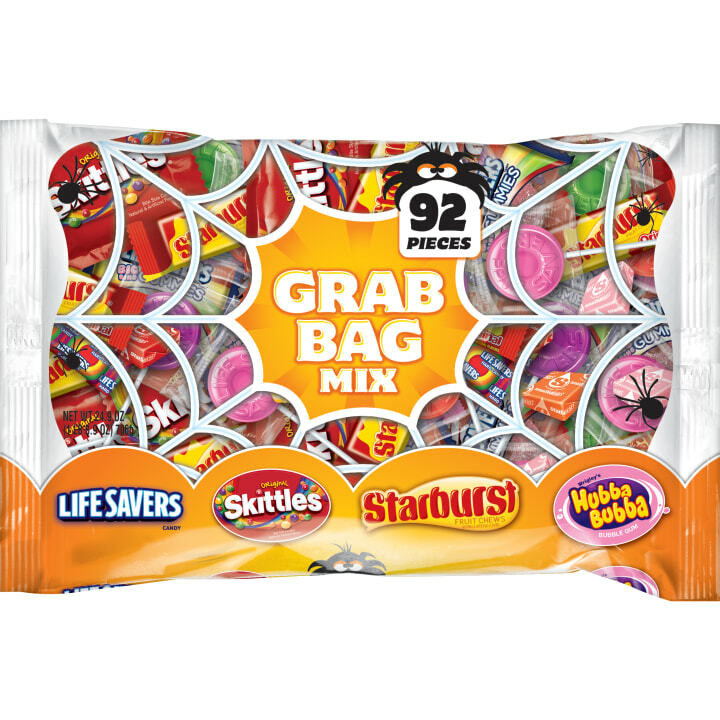 This old school mix of Life Savers, Skittles, Starburst and Hubba Bubba could easily feed all the trick or treaters coming by the house. Chocolate lovers rejoice! 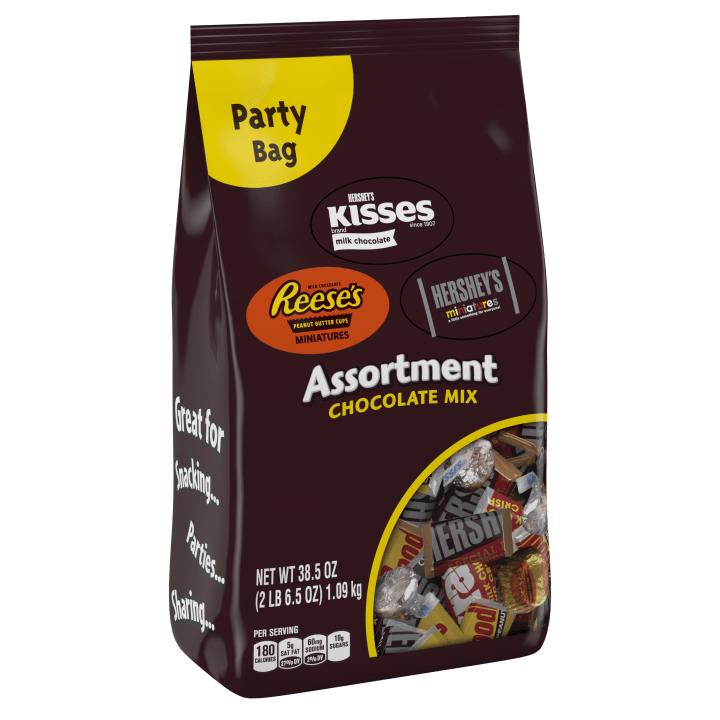 Filled with Hershey's Kisses, Reese's and Hershey's miniatures, this party bag will satisfy any chocolate cravings. 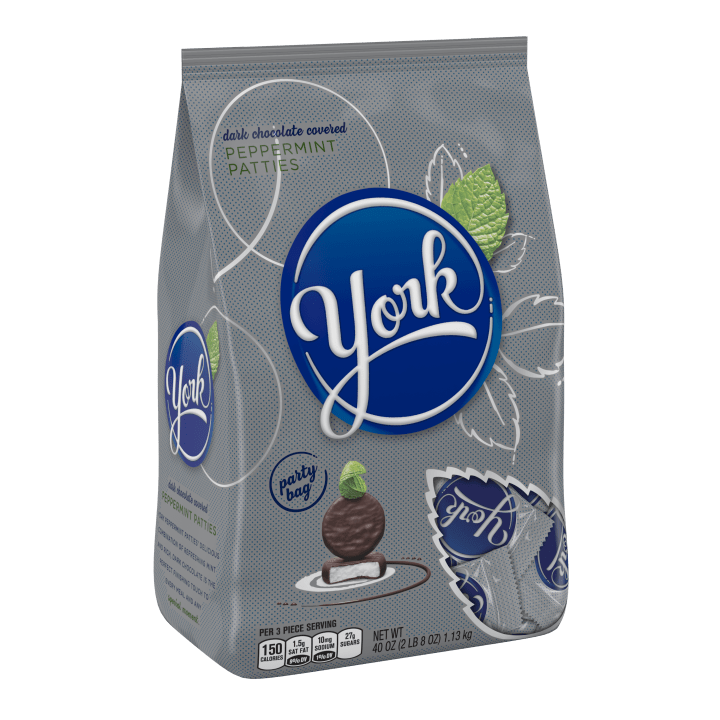 These little bites of minty goodness are always a hit with trick-or-treaters. 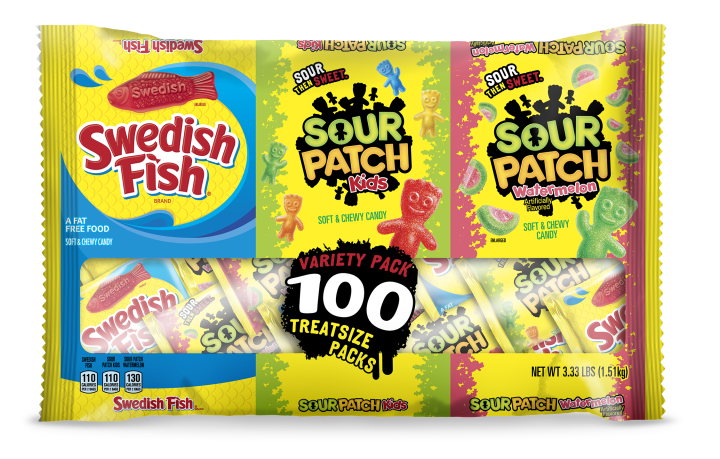 These individually wrapped bags of Swedish Fish, Sour Patch Kids and Sour Patch Watermelons are perfect for those who can't get enough of gummy candy. 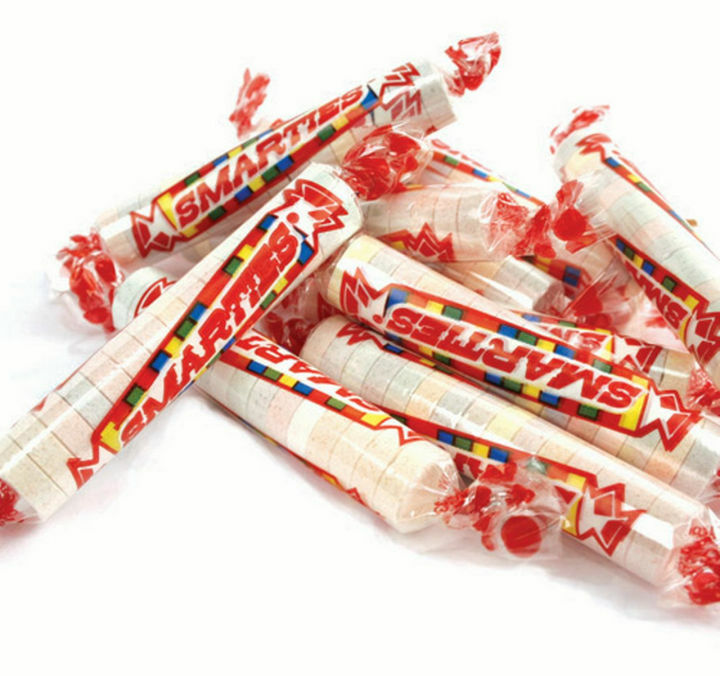 There's nothing more nostalgic than Smarties Candies! 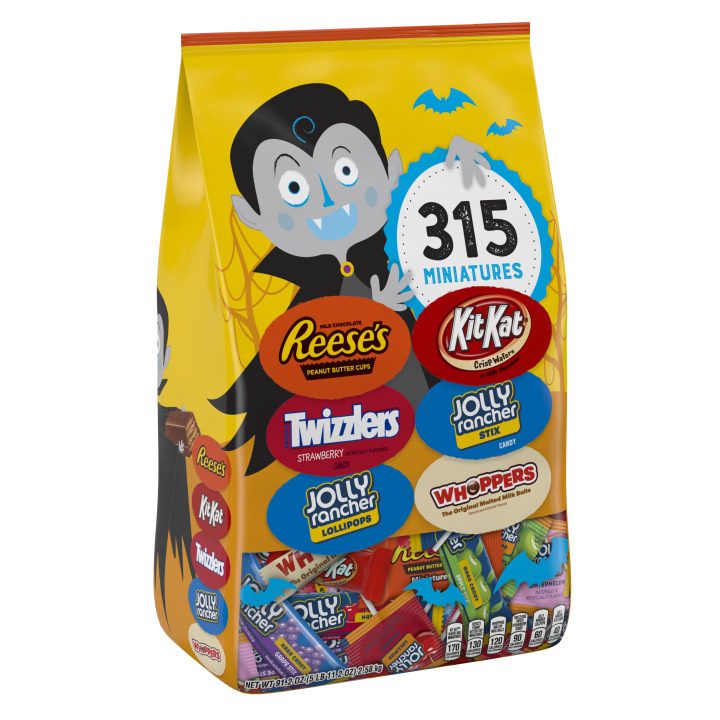 Bring back these classic treats this year with this five pound bag perfect for a Halloween party. 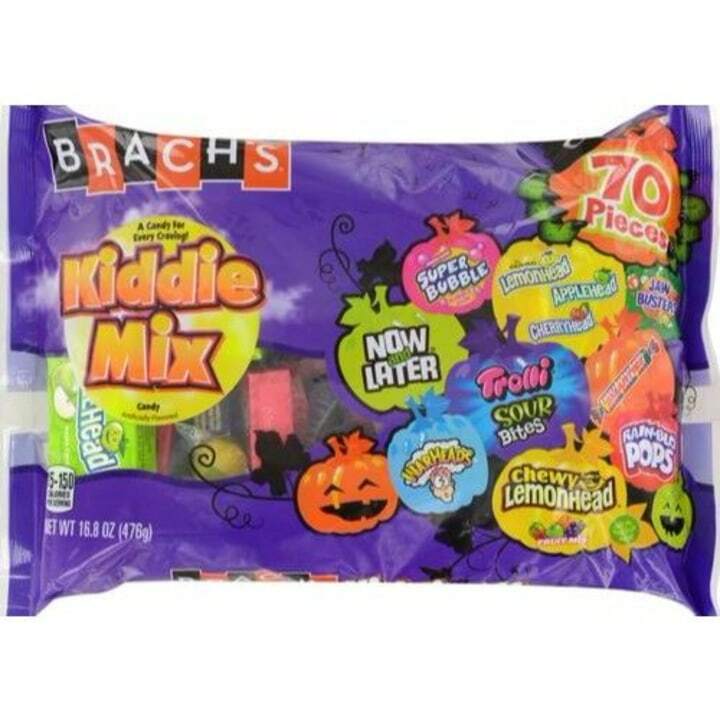 This kiddie mix is filled with classics like Now and Later, Warheads, Chewy Lemonheads and Super Bubble. 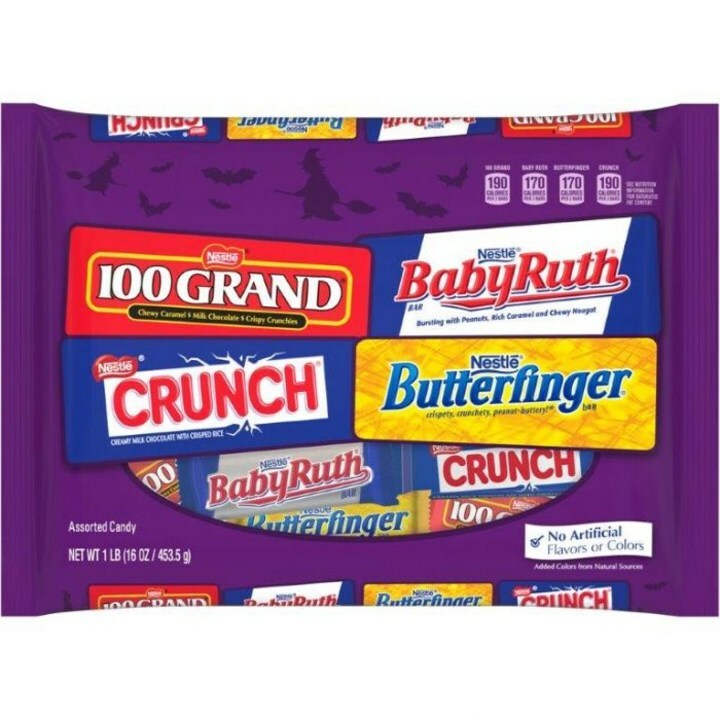 From Butterfinger to Crunch and Baby Ruth, Nestle classics never fail to put a smile on a trick-or-treater's face. 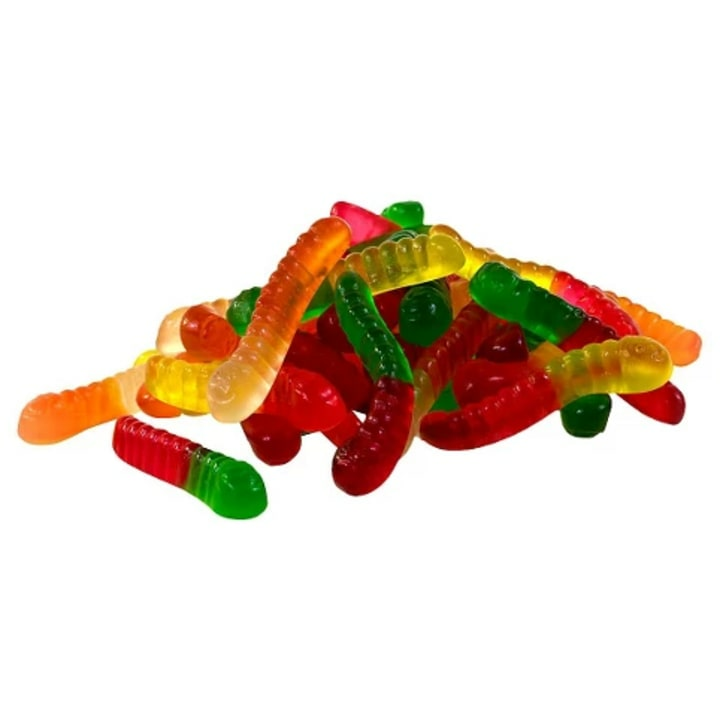 Gummy Worms are perfect for your Halloween table, whether you use them as creepy additions to dishes or just pop them in a bowl for your guests to enjoy. 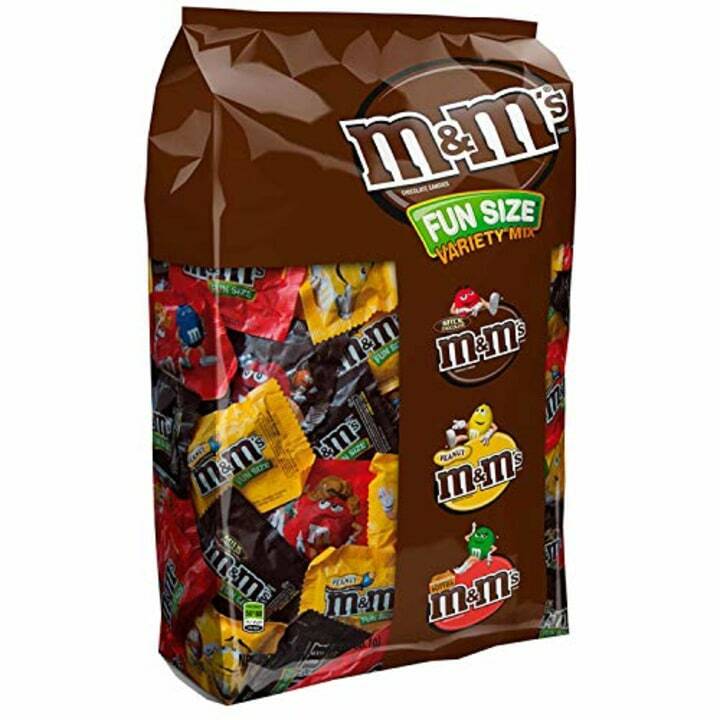 With this 5-pound bag, there will be plenty to go around. 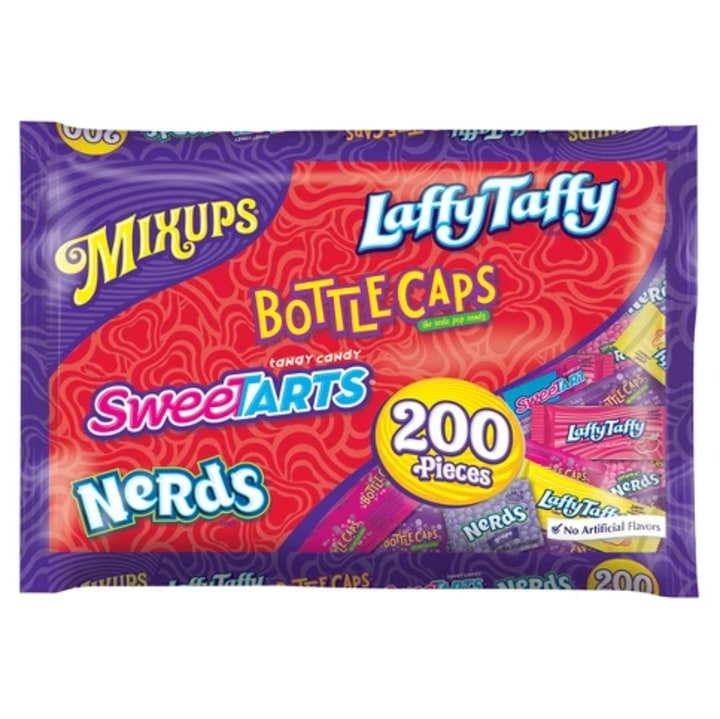 Mix it up this Halloween with this 200-piece bag of Nerds, SweeTarts, Bottle Caps and Laffy Taffy. 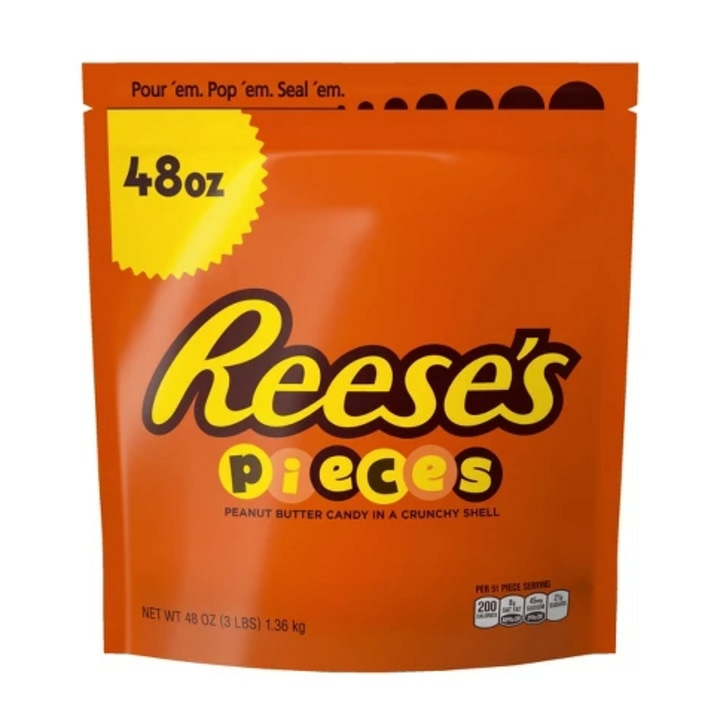 Offer a big bowl of serve-yourself Reese’s Pieces at your Halloween feast. This huge bag is the perfect size for a crowd, plus you cut down on cost and waste by not buying several smaller bags. While most houses will be handing out candy, set yourself apart by giving out these individually-wrapped pretzel bags. If you still need to get a Halloween costume for a little one, check out our list of the best Halloween costumes for babies and kids.